Two men con their way into the heart of women to get money and jewelry and great big stuff. 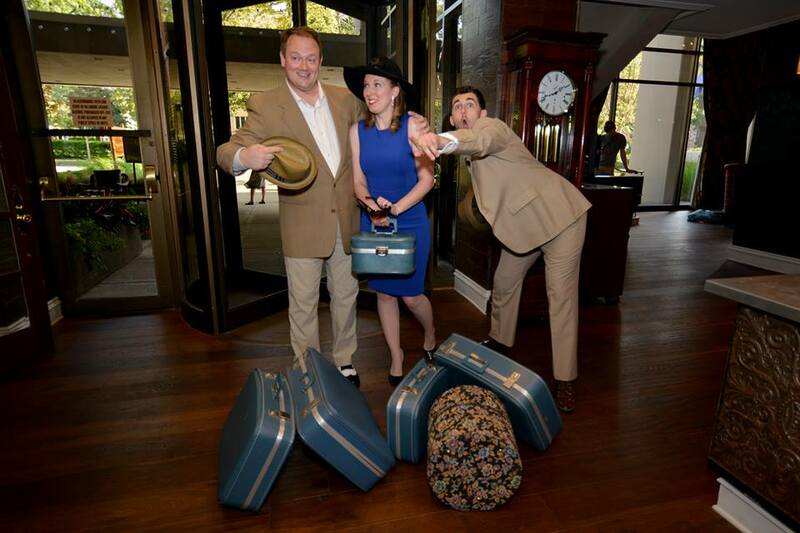 The French Riviera has been brought to Michigan with Ann Arbor Civic Theatre’s production of Dirty Rotten Scoundrels. A2CT’s production included impressive props, set designs, and scene changes, with the Lydia Mendelssohn Theater providing vibrant color backgrounds. The French accents were sometimes hard to understand, and it was difficult hearing the lines over the pit at times. For the most part, the choreography was rather simple, but the vocal performance made up for it. The orchestra rocked the French jazz musical score that David Yazbek, who just won the Tony Award for The Band’s Visit, wrote, which stylistically added to the comedic vibe of the entire musical. Dominic Seipenko dominated the stage as Freddy/Ruprecht, embodying the crass character greatly in his grand numbers “Great Big Stuff” and “All About Ruprecht.” He owned the role of the sleazy pupil in every moment. “Oklahoma” was stereotypically Southern, but it fit the comedic edge of the musical. Christine, portrayed by Hannah Sparrow, brings a glimmer of hope into the world with her beautiful performance of “Nothing is Too Wonderful to be True.” Though a microphone difficulty interrupted the reveal of the biggest scam in the musical, it was easy to figure out what happened (if you hadn’t called it already), and the ever-changing chemistry between the con artists onstage was certainly appealing. Overall, Dirty Rotten Scoundrels was a fun show, and it looked like the cast had a fun time performing. The highlight was definitely Seipenko’s performance, who brought life to the stage and delivered his role perfectly. The audience seemed to love it, particularly among the older crowd, even receiving a couple standing ovations at the end. Now, I have to watch the 1988 comedy film to see where it all originated from. What happens when two lifelong French con men try to one-up the other in an attempt to prove who is the ultimate con artist by swindling $50,000 from an American heiress? Based on the 1988 comedy film featuring Steve Martin and Michael Caine, the Ann Arbor Civic Theatre is bringing the Broadway musical of the same name to the Lydia Mendelssohn Theatre. The jazz musical comedy Dirty Rotten Scoundrels will be sure to keep you tapping your toes and laughing the entire time. Performances are September 6-9, with a 7:30pm show on Thursday, 8pm show on Friday and Saturday, and a 2pm matinee on Sunday. Tickets are $15 for students or FREE with a Passport to the Arts. “The One.” Everyone is on the lookout for their soulmate to settle down with. That special someone may not be who you are expecting or are used to however. First Date was a light, funny, and awkward musical exploring a blind date that has the potential to go somewhere. Aaron’s (Drew Benson) nervousness and Casey’s (Sarah Mazurek) hostility were apparent in their initial interactions — and if first impressions were bought, that would’ve been the end of this first date. However, the date lives on as Casey ignores her hilariously flamboyant best friend Reggie’s bailout calls, and they gradually move past the small talk and delve into talks about religion, passion, and the future. At each and every turn, they each imagine their own voice of reason and doubt in the form of best friend Gabe and sister Lauren. From imaginary (or real?) babies to bad boy exes, every aspect of the future and the past is brought to the present throughout this first date. The dangers of the world wide web were brought alive through the manifestation of Google and every single post that can never be erased. There was sass and attitude in their conversations, and this first date was truly a journey of blunders and embarrassment. Through the laughter, there were still scenes of sensitive topics among the musical numbers. Aaron remembers the tragic love of his passed mother and seeks closure with his ex-fiance through a rocking cathartic song. Casey engages in an honest introspective reflection about her personality and the inner walls she’s put up in order to protect herself. The vulnerability they express brings them closer as they reveal more of their true selves, despite the initial odds of their personalities clicking being against them. Sarah Mazurek and Drew Benson’s vocals were beautiful and complemented each other perfectly, and everyone else provided great backup or solo numbers about, for instance, food. This nine person cast fully embodied every quirky character they turned into, and the dynamics between everyone were truly entertaining. As Casey and Aaron ignored the voices that followed them throughout the entire night and decided to take the leap, the last scene is one that is highly predictable, but heartwarming nonetheless (in addition to a surprise potential relationship forming right before the end). 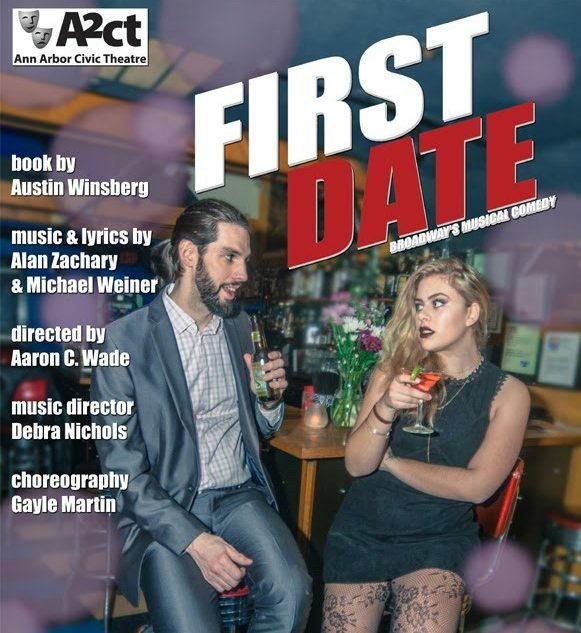 A2CT’s production of First Date was a feel-good play riddled with amusing quirks, brutal honesty, and enlightening humor. We’ve all been there — first dates. The first date that brings dread or butterflies to your stomach. The first date that is either endless torture or an instant click. 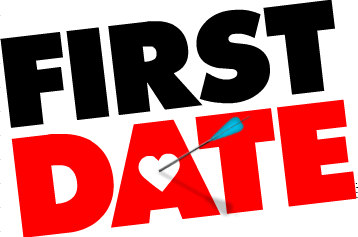 The first date that has you already setting up your next blind date or planning your wedding. And then there’s the first date that is perfectly average and leaves the future completely uncertain. Meet Aaron and Casey, chronic singles meeting for their arranged blind date. Featuring characters such as Facebook, Snapchat, YouTube, Google, Instagram, Pinterest, and Twitter, this original comedy musical set in the modern technological age explores the possibilities of love and chemistry at a certain point in life between two people and all the doubting voices carried along the way. Do the sparks fly? Is love in the air? A2CT is putting this production on at the Arthur Miller Theatre March 8-11 with showtimes at 7:30pm on Thursday, 8pm on Friday and Saturday, and 2pm on Sunday. Student tickets are $14 and can be bought online at www.a2ct.org or at the door. This event is also FREE with a Passport to the Arts voucher! Do you remember in the 2006 Amanda Bynes movie, “She’s the Man,” Channing Tatum went off on a glorious inspirational speech that went like this : “Be not afraid of greatness. Some are born great, some achieve greatness, and others have greatness thrust upon them.” He was actually directly quoting a line from Shakespeare’s “Twelfth Night,” which the plot of “She’s the Man” was based on! 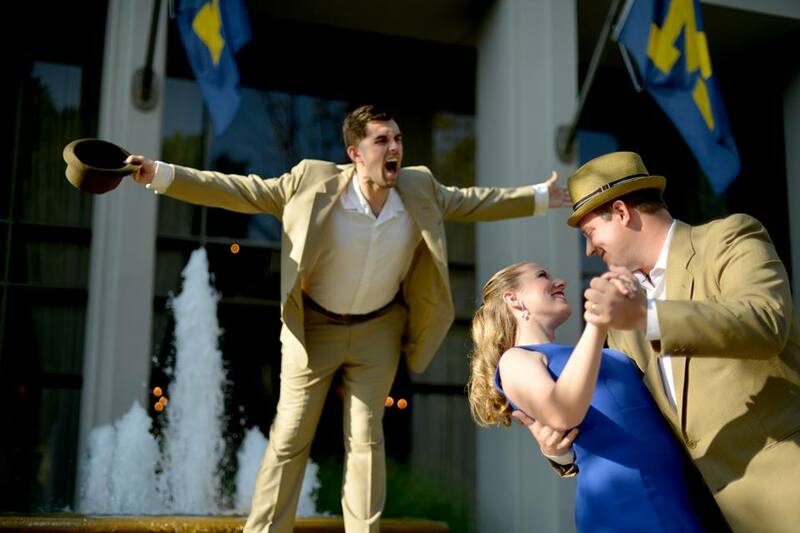 The original love triangle comedy will be performed by the Ann Arbor Civic Theatre, a community group that has stolen local hearts with past productions, like Shrek and Les Miserables. I’m very much looking forward to see if the troupe modernizes the Shakespearean classic or keeps it in its traditional form. How Much? : Free with a Passport to the Arts; $11 at the door. If you like to read up on Shakespearean plays before you go (which can be very helpful sometimes), I recommend a quick summary skim on Sparknotes. Or, better yet, just grab some friends and host a pre-play screening of “She’s the Man”!